Classic and versatile, wearing your Hunter Boots with jeans is the easiest way to work these rainboots into your wardrobe. 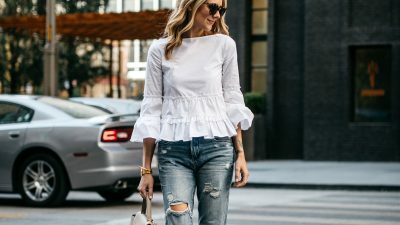 The trick is to keep the jeans slim and streamlines. Skinny jeans tucked in perfectly show off the Hunter boot shape. Elongate your pins with dark denim. Blue or black can be paired with any Hunter boot colour – from the classic black Hunter boot, vibrant red to olive green. Comfy thick socks will keep you comfortable and help retain the Hunter boot structure. Top off your look with plaid scarves, chunky cardigans or your favourite tailored wool coat. 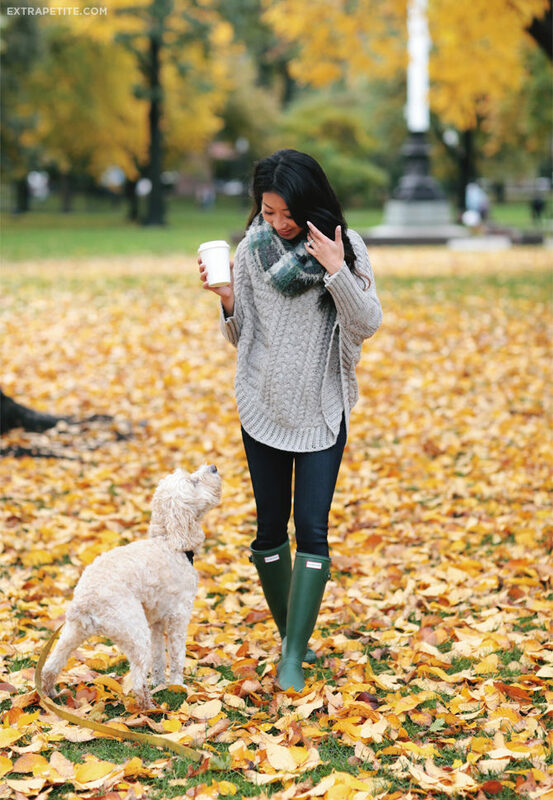 Hunter Boots and skirts are a match made in fashion heaven. Universally flattering and feminine, here’s how to style your favourite skirts with Hunter Boots. Getting the length right is key. Keep hemlines above the knee to add enough of a break between the boot and the skirt. See more cute ways to wear a mini skirt. For cold days, stay warm with a of pair tights. Go for classy dark tones and avoid prints. 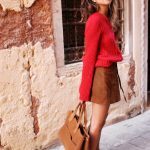 Don’t be afraid to switch things up with your skirt shape. An A-line is classic city chic while skater style adds a trendy vibe. Fabric and texture add interest to your outfit. We love corduroy for winter days and cotton for summer. Channel that eternal summer vibe with a pair of frayed denim cutoffs. Feeling too casual? Instantly dress up the look by throwing on your favourite black leather jacket or military jacket: See more ways to style the military jacket. While knee high socks are optional, they will help the boot stay in place and keep you comfy through the day. Balance the rest of your look with a loose long sleeve top, scarf and cross body bag. 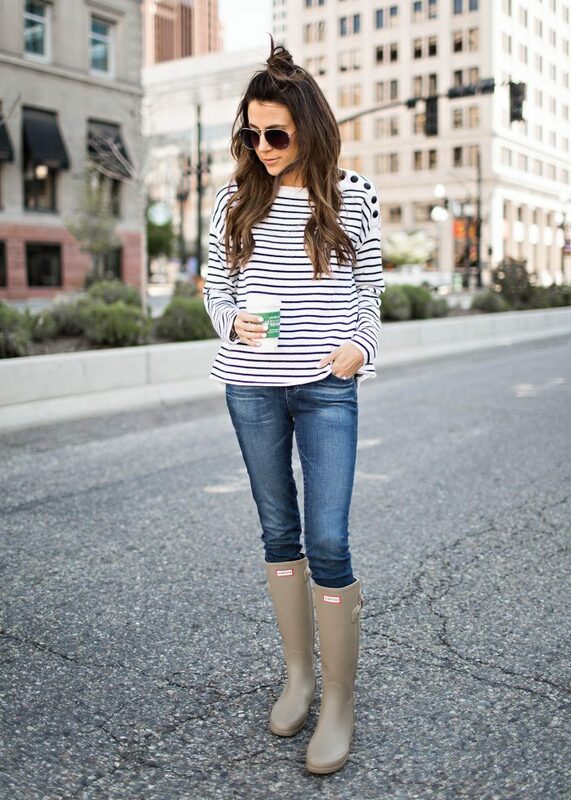 Christine Andrew teams her skinny blue jeans with these matte khaki Hunter Boots for a classic update to the striped tee Breton look. The aviator style sunnies and on-trend hair style finish the look perfectly. Silvia Navarro shows us that with Hunter Boots, beach days don’t have to be just for the summer. She adds texture and pattern to her look with a plaid scarf and chunky knitwear. Marianna Mäkelä with a perfect example of layering done right. 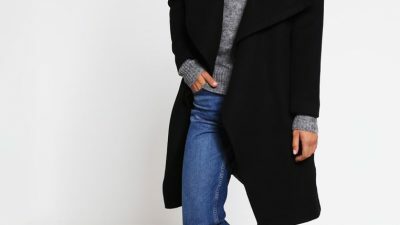 The flowy wraparound cardigan balances the streamlined skinny jeans and Hunter Boots combination. Helena Glazer is cute and seasonal in this luscious green outfit, consisting of a cable knit sweater, a mini skirt, and a classic raincoat. 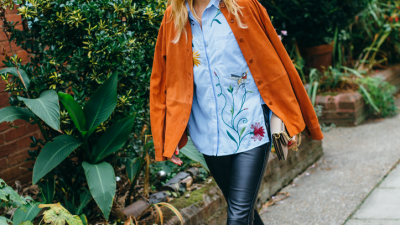 Definitely wear this style with hunter boots to capture that countryside chic style! Boots/Coat: Hunter, Sweater: J Crew, Skirt: Maje. A beautiful outfit to match the beautiful autumn scenery. Jean Wang shows us her go-to casual autumn uniform with a loose poncho sweater and skinny jeans. These Boots aren’t just made for walking. 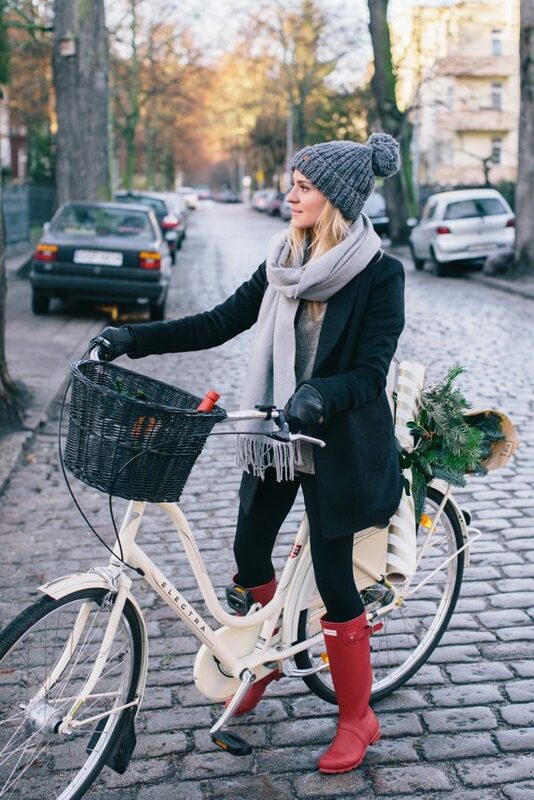 Katarzyna Tusk shows us her Hunter Boots can be the perfect companion for a day out on with the bike too. We love the grey woolly hat, scarf and leather gloves too. Julia Engel adds Parisian chic to her Hunter Boots and jeans outfit with a classic Burberry trench coat, keeping the whole look simple and classy. Pam Hetlinger’s monochrome look is stunning. We love the ripped jeans detail, keeping the whole outfit dressed down and fashion forward. Simple but understated, Krystal Schlegel teams her skinny jeans, Hunter Boots with this season’s hottest bag and a beautiful tailored jacket. 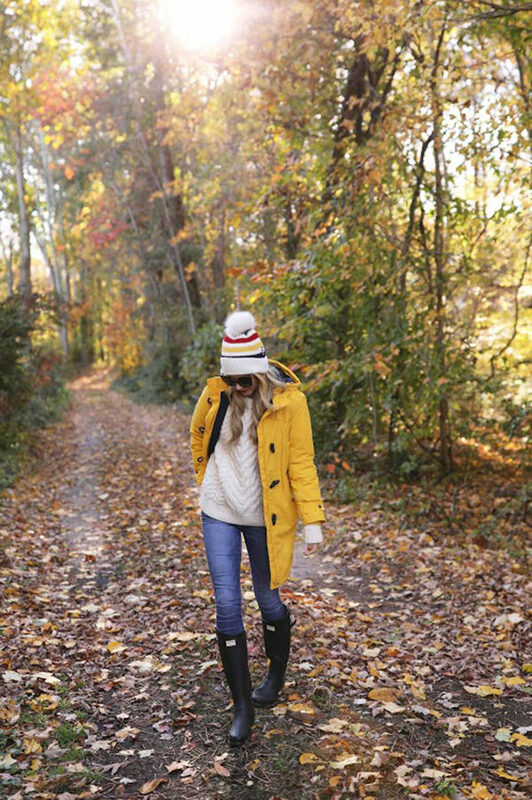 Blair Eadie is absolutely owning perhaps the most classic fall outfit; a yellow mack and hunter boots! Try this style with jeans and knitwear to get that quintessential autumn feeling! Jeans: Current Elliott, Coat: Land’s End, Boots: Hunter. Trendiest outfit we’ve seen in the country! 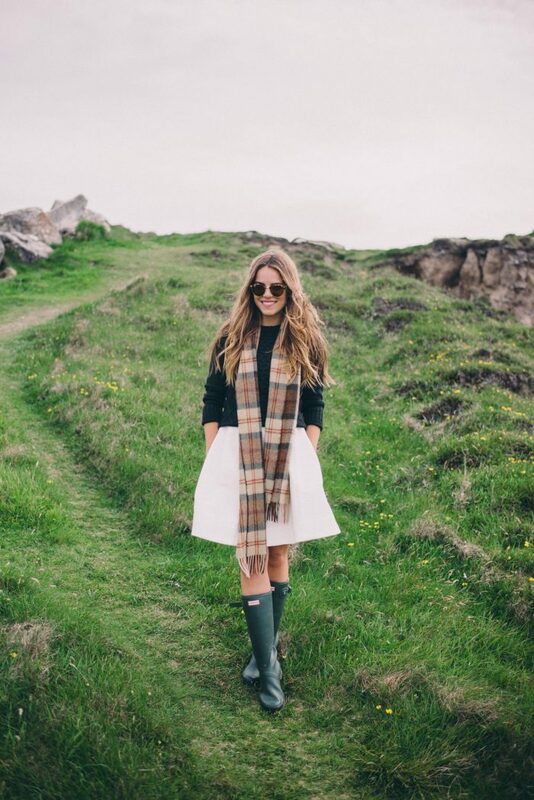 Julia Engel works the A line skirt and Hunter Boots look in style. The plaid scarf, textured hair and sunglasses is a nice touch, exuding country coolness. Taylor Morgan matches her lippie to her Boots with this perfectly put together look. The leopard print clutch adds the unexpected splash of texture to this black skirt and chunky cable knit sweater combo. Rach Parcell brightens up her look with these red Hunter Boots which offset her trench, denim and leggings combo. 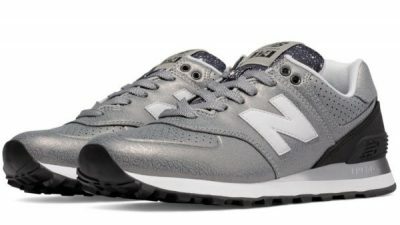 Perfect for a casual day out shopping. Perfect for off duty errand days, we love Alexandra Pereira’s loose boyfriend cut herringbone coat paired with these pretty cherry coloured Hunter Boots. City style ready Blair Eadie looks cooler than cool after pairing her Hunter Boots with an olive corduroy skirt. The unstructured tan tote keeps the whole look perfectly casual. 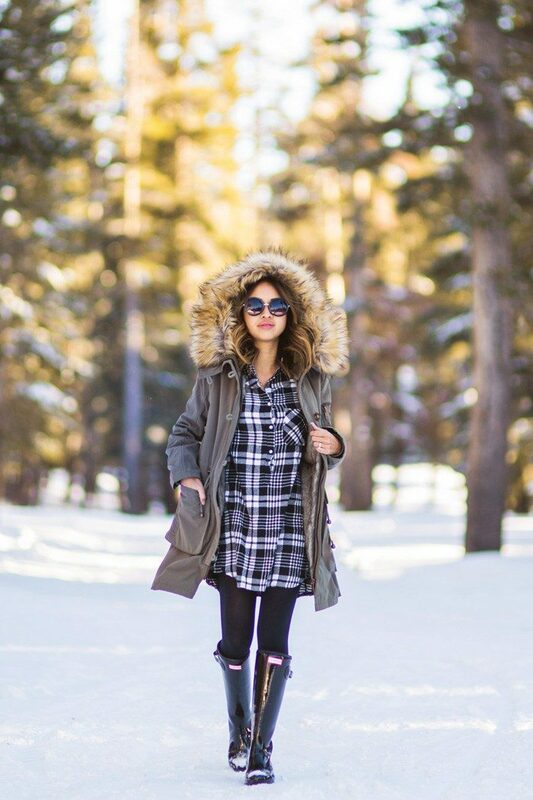 Stay warm and toasty by following Kim Le’s oversized plaid shirt and furry parka look. The sunglasses and glossy Hunter Boots add just a touch of glam. Blair Eadie takes on a snow day by layering up in black and grey tones. With its grip and durability, Hunter Boots are essential for snowmen making. Digital Strategist with a love for all things fashion, travel, art and design.